Home › AIR GUNS › AIR PISTOLS › AIR PISTOLS GAMO › Air pistol GAMO P-25 BLOWBACK TACTICAL 4.5 mm. Air pistol GAMO P-25 BLOWBACK TACTICAL 4.5 mm. -Muzzle velocity -170 m / sec. Gamo P-25 Blowback Tactical is semi-automatic air pistol of the Spanish Company Gamo, equipped with 20 mm. RedDot and tactical flashlight 80 lumens. Gamo P-25 Blowback Tactical has blowback action. 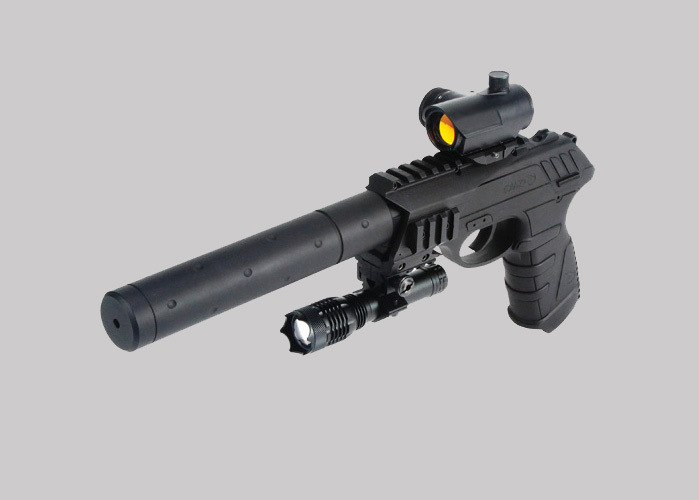 Gamo P-25 Blowback Tactical is suitable for training shooting and amusement.